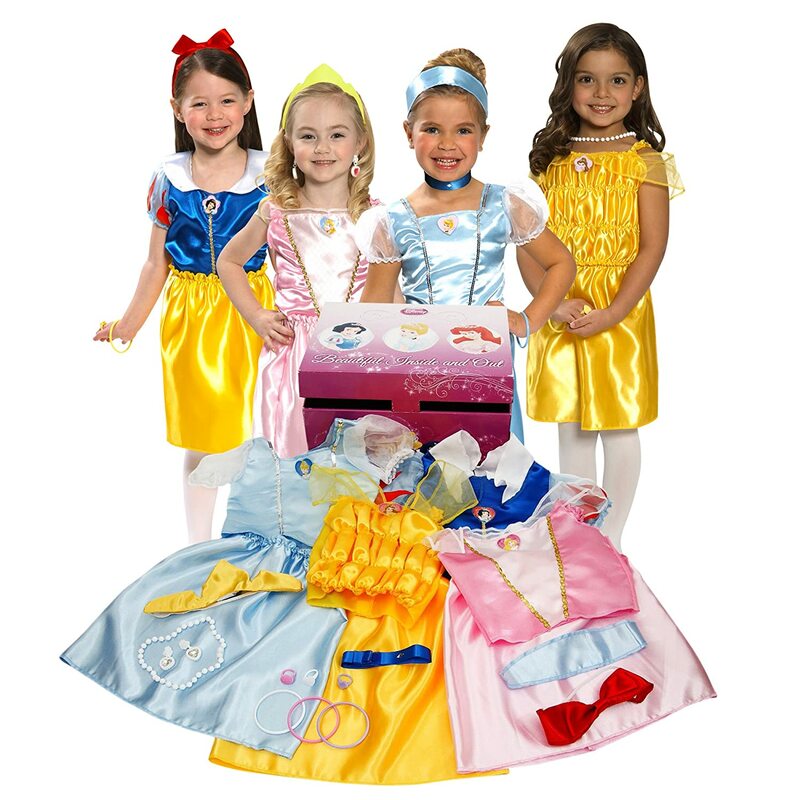 Searching for the perfect gift for your Disney princess loving child? Look no further! I’ve found magical Disney princess-inspired gifts that range from games to dress-up to dolls and more. 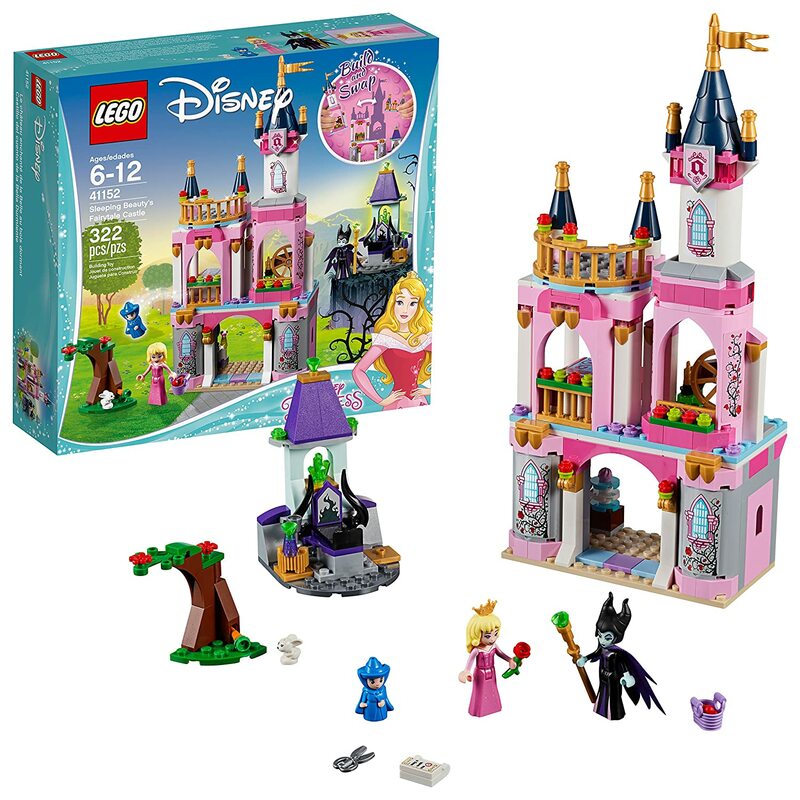 They will be able to play with some of their favorite princesses while using their imagination to recreate and reinvent some of their favorite fairytale storylines. I have a sweet little girl and I’ll be getting her several of these special gifts. If you have a little one who loves Disney Princesses then this is the gift list for you! Check it out below. These unique Disney princess gifts are sure to make your child’s day brighter, more charming and a whole lot more fun. 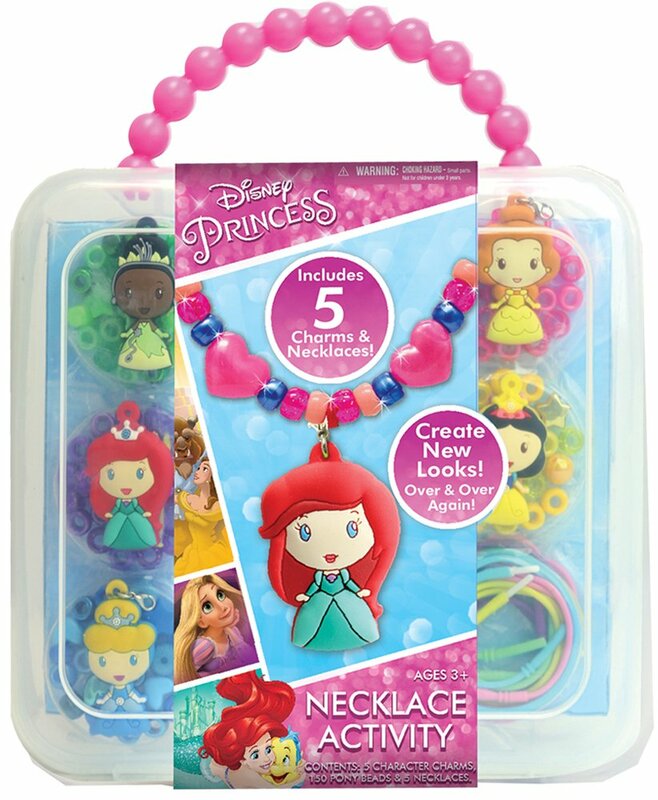 Mix and match colorful beads with character charms to make these silicone necklaces With this Disney Princess Necklace Set. Everything you need to make these necklaces is stored in a sturdy carrying case so you can bring it on the go. Great for ages 3+. 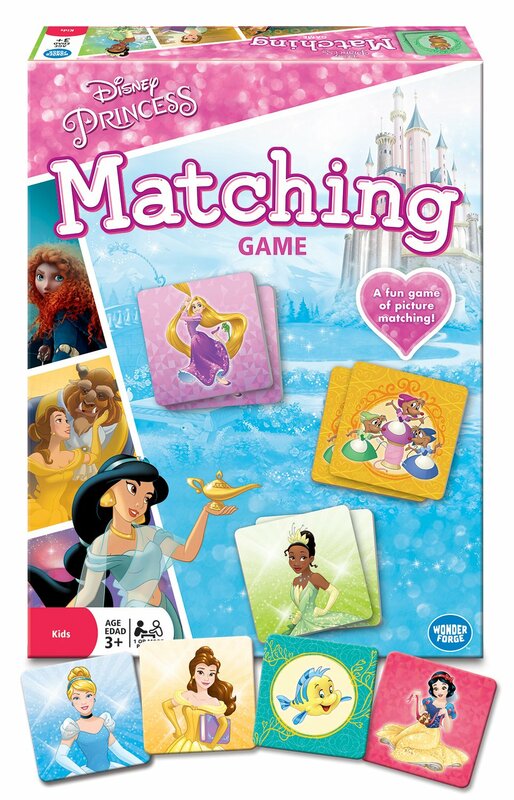 Help your little one improve their memory and matching skills with this Disney princess matching game. This game can be played alone or with others and is geared towards ages 3+. This wooden stamp set is a must-have for creative children. With washable ink and a sturdy wooden box for storage, it’s clean enough for parents, too! 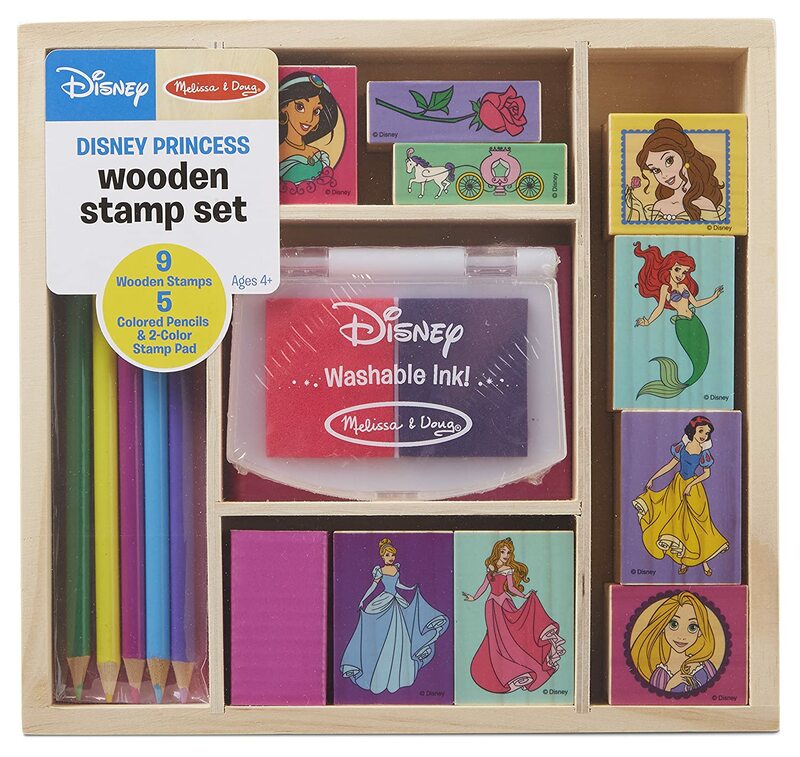 This set includes 9 wooden stamps, 5 colored pencils, and a 2 color stamp pad. Ages 4+. 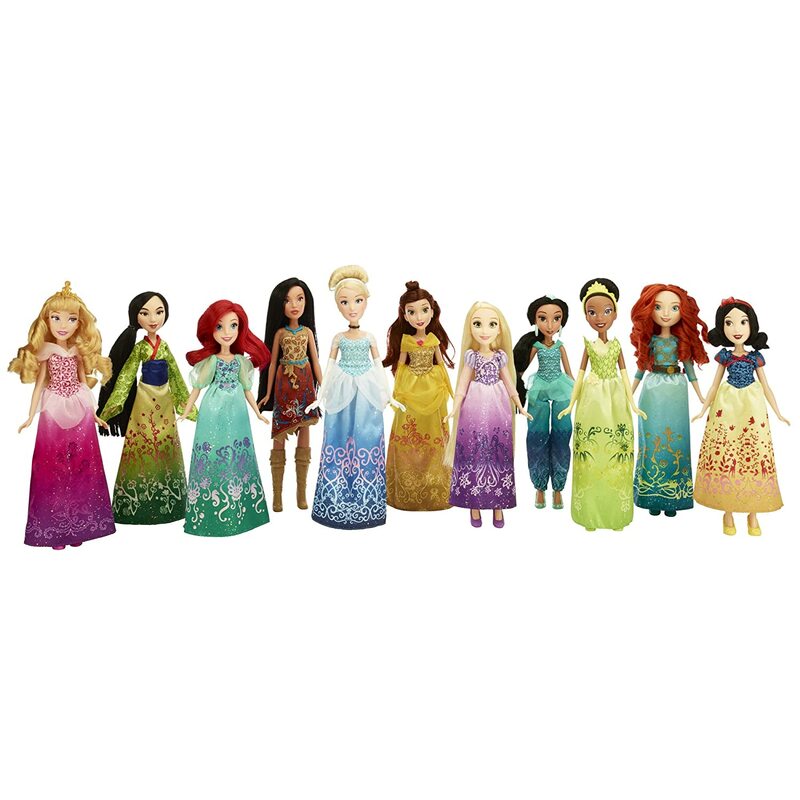 With gowns and outfits that are inspired by the movies, these collectible Disney princess dolls are a must-have for Disney lovers. This set comes with 11 dolls, 11 outfits, 11 pairs of shoes, and a variety of accessories for your dolls. Ages 3+. This is by far the best gift on this Princess list! 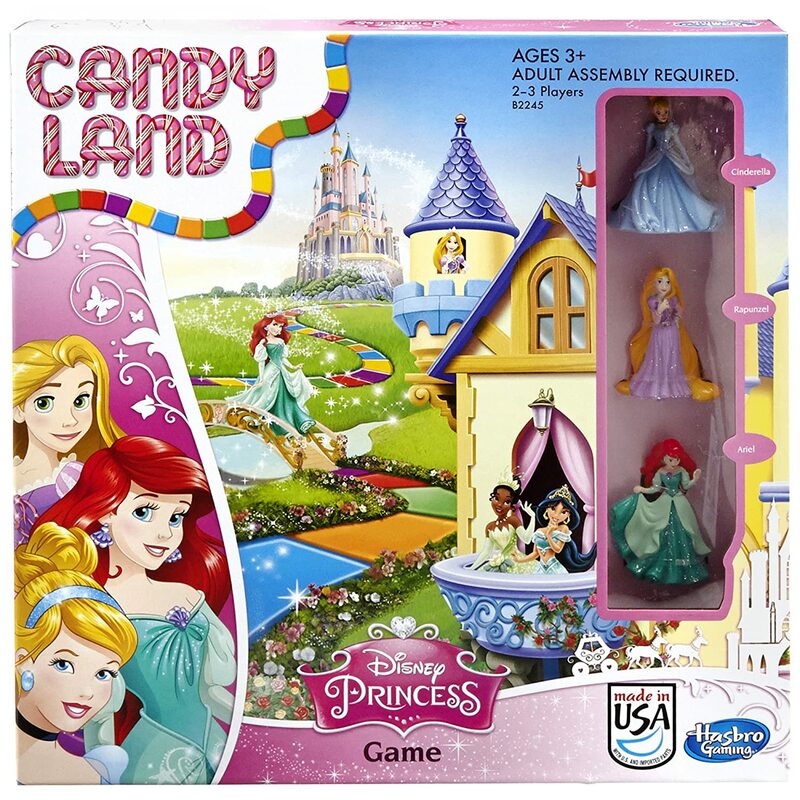 Play Candy Land with a Disney princess twist! Choose from Cinderella, Rapunzel or Ariel to play as and guide your princess to the castle throughout the game. Ages 3+. Each room of this musical castle is inspired by a different Disney princess. 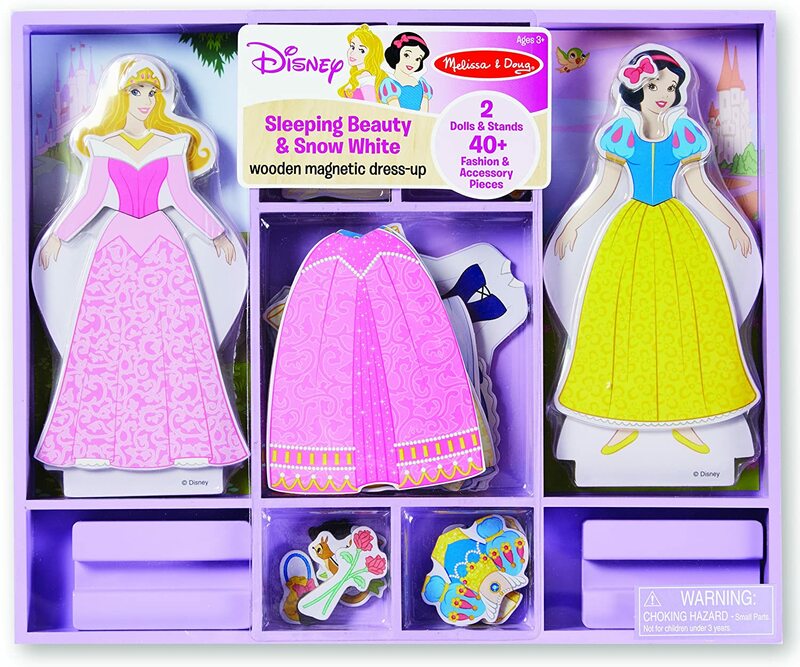 Children will be able to recreate parts of their favorite fairytales and accessorize some of their favorite princesses. Ages 4+. 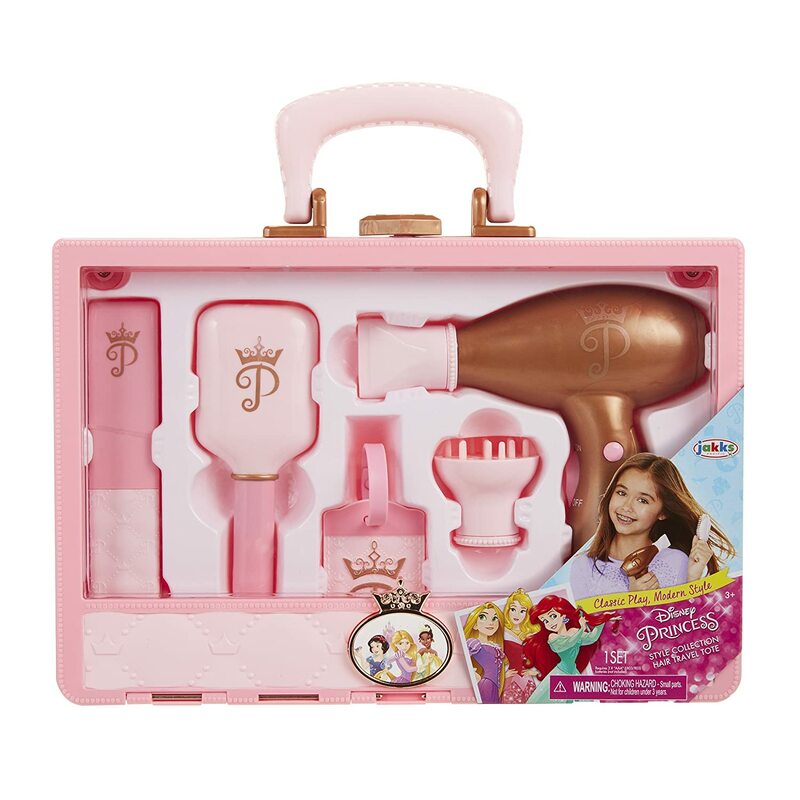 This 9 piece hair care set includes a tote, luggage tag, brush, blow dryer, flat iron, concentrator and diffuser for the hair. It’s a must-have for every stylish child with major hair goals. Ages 3+. Aren’t these great gift ideas? 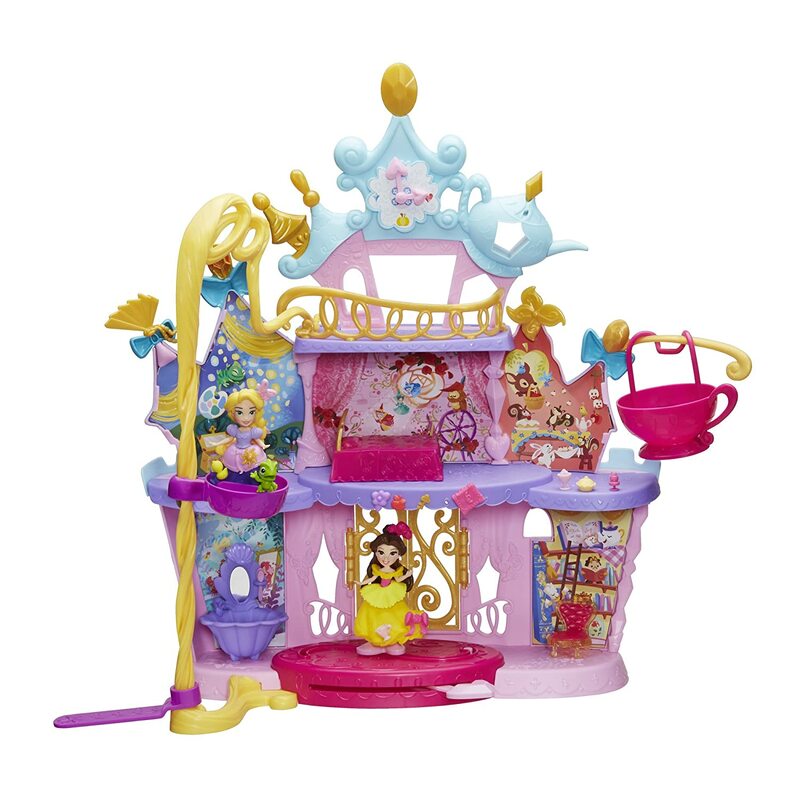 Your little princess will be bubbling with joy when she sees these fun Disney Toys. Enjoy! If you liked this post I would really love it if you shared it with your friends. You can share with the Pinterest Images below or the buttons to the left! Pin it on Pinterest With these Images!